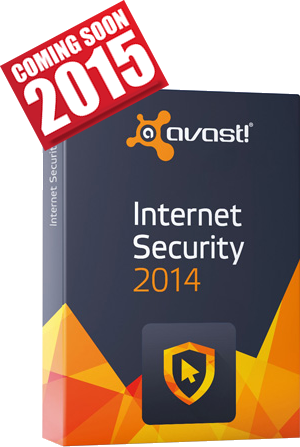 As the 2015 versions are set to come in mid-October, Avast has given us an end-of-season deal on all of the remaining 2014 versions: You can now save 25% on your single-license order of Internet Security 2014. This cuts the price by $10.00 to just $39.99. To activate this deal you’ll need to follow the above instant coupon link. It will take you directly to the checkout cart with the discount applied (you’ll see the original price crossed out). You will also be given a few add-on options, like Avast EasyPass or Backup, if you would want to add them to your order. When it comes to Internet Security software, nearly every company will give you a discount if you buy multiple licenses or multiple years of protection upfront. 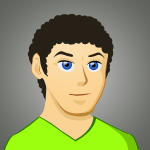 The same goes for Avast as they will save you up to 40% per license for your volume and multi-year order. Of course the best deal is choose 3 years and up to 10 licenses up-front but even if you choose 2 years of protection for your PC it already cuts the price per license significantly. Discount vary by options selected. Before you buy it, you should download the trial and try it. Head on over to the download center and you can install the 30 day free trial (assuming that you have not tested it before). We’ve heard that they used to offer 60 day trials in the past but that’s no longer the case. Once you hit the 30-day mark the software will ask you to enter a license key to activate the trial into the full subscription so if you decide to buy it you will not be required to reinstall anything again. If you decide not to keep it then simply go into your program settings to delete the trial software from your machine. See our other 2015 Internet Security deals! Avast does not offer a traditional student discount on their software but they do have an educational program and offer certain schools and universities their software for free or heavily discounted. We recommend that you cheek with your school’s library to see if they have any existing relationships through your school. If not, you can apply through Avast’s Educational Center to see if your school will qualify for their program. If you’re ordering directly from avast.com then you are fully covered by their 30 day money back guarantee. So if for your reason you decide to return it, even if you took advantage of the free trial, you can request for a complete refund of the purchase price within this timeframe. Usually the most common reason where we hear customers request for a refund is that they didn’t realize that there was a discount available. So always remember to follow one of the offers on this page to be assured that you are getting the best deal possible on your Avast Internet Security purchase.